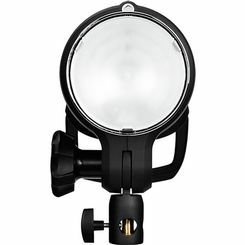 The versatile and super-fast D2 monolight with TTL and HSS is up to any challenge. With the ability to freeze action at up to 1/63,000 of a second, shoot bursts of 20 images per second and sync with camera shutter speeds as fast as 1/8,000 of a second, the D2 is redefining the definition of speed in monolights. The D2 is offered in two variants – 500Ws and 1000Ws. You can buy a single D2 or a D2 Duo Kit with two heads.